HTC U Ultra was recently announced as the flagship device under the new U series. The phone carries a 5.7 inch, quad HD display with Gorilla Glass 5 protection on the 64GB variant and Sapphire Glass on the 128GB variant. The most effective feature is the introduction of an all new, 2.0 inch secondary display on the top of front display, carrying 160×1040 pixels of resolution and 520 pixels per inch. 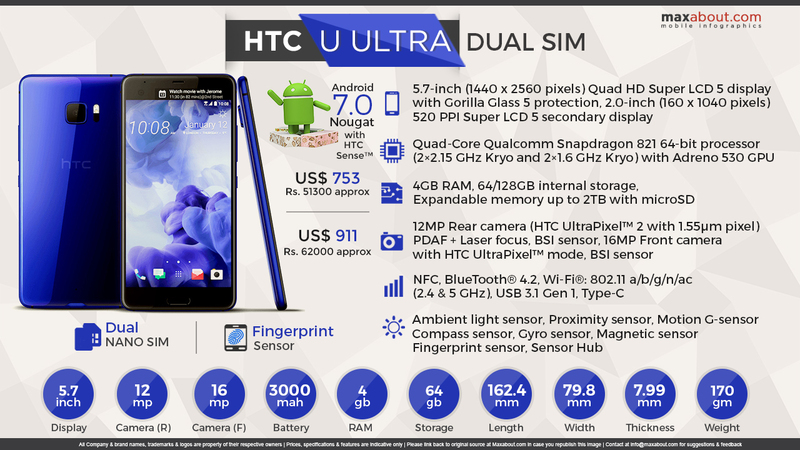 Read More about HTC U Ultra. Downloaded 16 times this week.